This is little Benjamin and his parents. 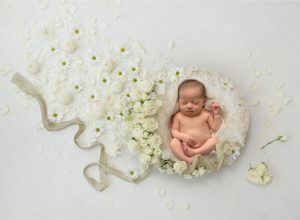 We met several months back when Benjamin was just born and I photographed his newborn session (come back up and see how much he’s grown when you’ve finished reading this post.) But now that he has grown so much, we met up this summer evening to do a family photography session with their now 6 month old baby boy. Such a smiley little dude, Benjamin was super happy the entire session. Of course, how can you not be happy when you have a fun dad like this! Benjamin was just starting to sit up on his own, so we let him hang out in this little crate to see what he would do. And he just sat back, completely calm and took in his surroundings. Mom got a chance to get a little love from her baby boy as well. He was really moving though and kept wanting to wiggle out of her arms to go and explore. Once I laid him down, he got the giggles. He and I were having so much fun making each other laugh that a couple stopped to watch us and enjoy our fun too. Since Benjamin had been so good and up for anything, we decided to let him try to sit up on his own. With Dad very nearby, we got this cute photograph of Benjamin showing off his skills. And since our pets are family members too, they brought their little dog along to get in a few family photos. Perfect smiles all around! Benjamin really surprised us all by being completely cheerful for his entire session. Most babies his age don’t smile much for photographs, reserving their best smiles for playtime with you. But, he really gave his best here and made everyone’s day! If you would like to capture this special time in your family’s life and all of the skills that your little one is mastering as he grows up, contact me today. I am booked for October and December, but I do have a few spots left for November.